Where Can I Find “Odd” Colored Hawaii Beaches? Did you know that the sand on Hawaii beaches can be white, yellow, black, red, or even green? Yep, just like the rainbow you’ll see after a morning drizzle here in Hawaii, our sand can be just as colorful. But, to find it, you’ll need to know where to look. 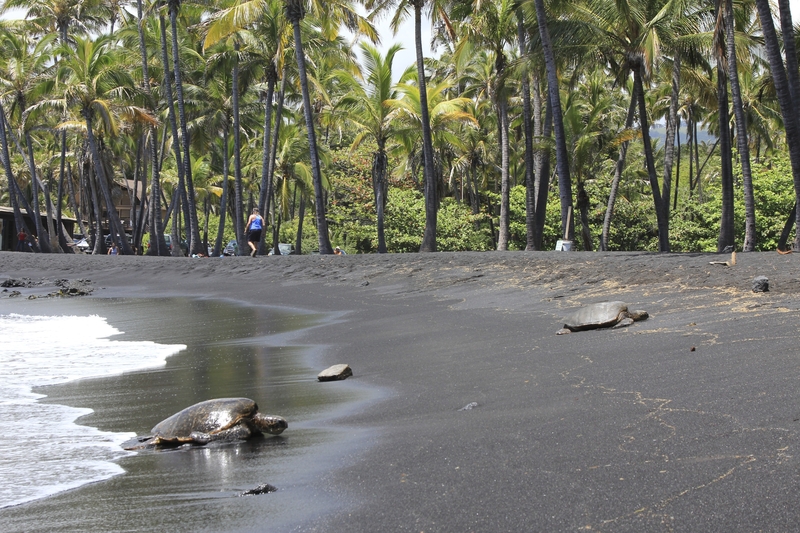 If you’re looking to sink your toes into a black sand beach, you have a few options. The Big Island, Maui, and Molokai all have black sand beaches. According to the Associated Press, a new black-sand beach was formed on the eastern shores of the Big Island after lava from the Kilauea volcano engulfed the town of Kalapana in 1990, destroying most of the homes. The molten lava also filled in Kaimu Bay, covered the beach that was there, and extended the shoreline, creating a new beach about a half-mile from the original. And, it’s interesting to note that the beach is younger than many of its visitors! The new Kaimu Beach is at the end of Highway 130, past Pahoa town, where the road meets Highway 137. Because the sand is black, the water temperature is usually quite warm in the waters near the black sand. Kaihalulu Bay on Maui near the town of Hana is home to a unique red sand beach. Towering red cinder cliffs surround the bay, and the blue ocean swirls along the red sandy shore. A large lava rock reef juts out in the bay slightly protecting the beach from harsh waves, but swimming is not advised. There are no lifeguards and ocean conditions are unpredictable. When you book a Maui Spectacular Helicopter Tour through Hawaii Aloha Travel, you’ll even fly over Western Maui, Haleakala, and Hana, near the red sand beach. Why is the beach red? The cindercone behind the beach erodes constantly, which continually enlarges the cove. This hill is rich in iron, and is why the beach’s sand is such a deep red. 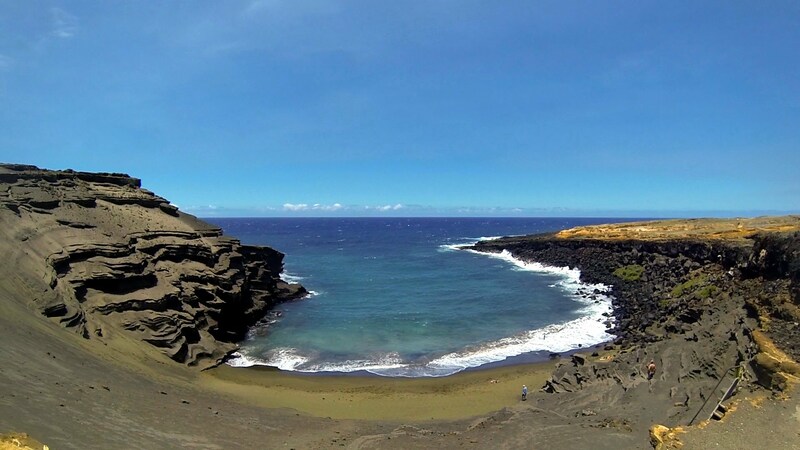 On the Big Island is the Papakolea green sand beach, surrounded by olive-colored cliffs and crashing surf. Olivine crystals eroding from an ancient volcanic cinder cone give Papakolea its hue. Papakolea Beach is located near the Big Island’s southernmost point. According to the Associated Press, you’ll have to shimmy down the side of the cinder cone on a worn trail to the beach. The sand itself is not as vibrant as some patches of green you’ll find outside on the trail leading to the beach. There are no lifeguards, so swim with caution. Papakolea Beach on the Big Island has a green sand beach, which is made from olivine crystals from volcanic eruptions. Who says you should spend all your time on a white- or golden-sand beach? Expand your horizons and check-out these colorful beaches, instead!